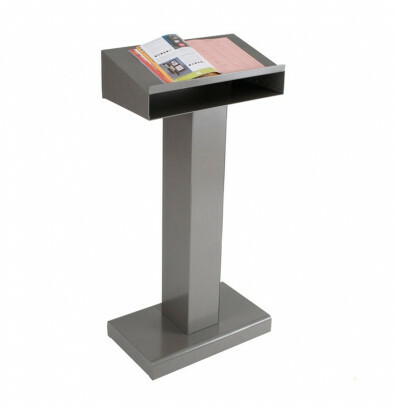 Balt 89888 metal lectern podium offers a modern look with durable steel construction. Includes a box opening for added storage. 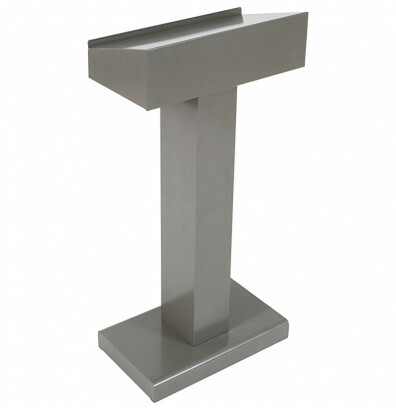 Dimensions: 23" W x 14" D x 47.75" H.
Balt 89888 metal lectern podium is a presentation speaking platform or pulpit well suited for commercial and religious environments. 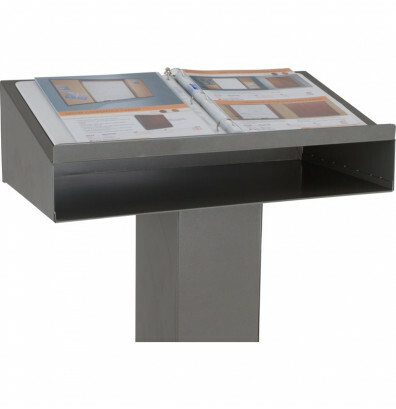 Brushed powder-coat grey finish for long-lasting, modern appeal. Box opening provides added storage. 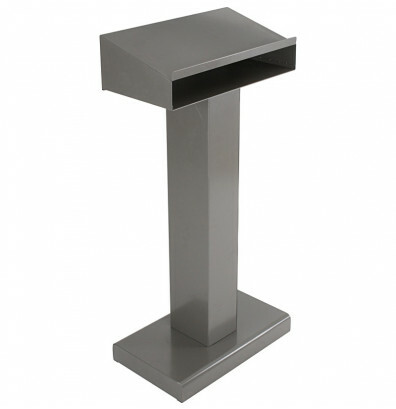 Wide base for greater stability; leveling glides keep the podium even.